Helms Medical Institute announces a one-day graduate workshop in Chinese Scalp Acupuncture with Nick Kouchis, MD and other senior HMI preceptors. 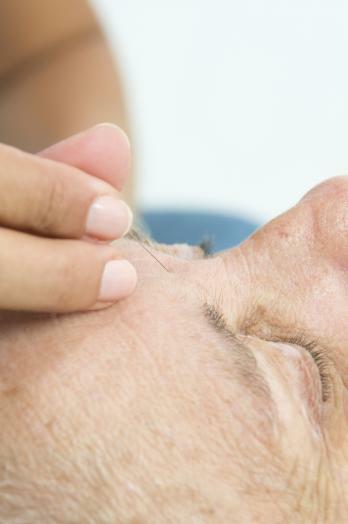 Chinese scalp acupuncture (CSA) is a contemporary first-line treatment for the busy practitioner that combines acupuncture with conventional biomedical understanding of the neuroanatomy, physiology, and pathology of the cerebral cortex. It can be used effectively to manage neurological problems that are not satisfactorily responsive to needling body or auricular patterns alone and can quickly produce convincing responses even in old and difficult problems. CSA can be used as a solo treatment or in combination with auricular acupuncture and energetic body treatments for motor and sensory problems. CSA has demonstrated reliably positive results in managing musculoskeletal pain, headaches, vertigo, stroke and traumatic brain injury. The HMI team has included CSA as the third acupuncture technique taught to military residents in the Nellis Project (www.acusfoundation.org), following auricular acupuncture and surface release technique. Once learned, CSA becomes the first line of approach for all musculoskeletal complaints, often the only one necessary to achieve satisfactory results. It is the ideal first step for pain when working in a time-constrained practice environment. This one-day workshop introduces you to CSA through online videos, didactic material, demonstration of techniques, and hands-on experience. The didactic material covers the anatomy and physiology of the brain and the scalp, and the location and indications of scalp acupuncture points and zones. Demonstration and hands-on segments cover needling technique and stimulation of needles on your classmates. Early application is recommended. Attendance is limited to 30 students. This continuing medical education activity is designed for physicians who have completed the HMI basic training program and have had solid experience in clinical acupuncture, whether in general medical applications, pain management, or rehabilitation medicine, who want to augment their clinical skills to address common and difficult neurological and neuromuscular problems. Design and execute treatments for the problems accessible to this discipline. Be prepared to incorporate this technique in your clinical acupuncture practice. You are required to watch 90 minutes of video material featuring Dr. Helms and review printed handouts prior to arriving at the workshop. The video material covers the basic anatomy of the Chinese scalp acupuncture zones. Dr. Nick Kouchis and senior preceptors teach the workshop. Completion of a 300-hour medical acupuncture training course is a prerequisite to attend this course. The HMI course is strongly preferred; applicants who have completed other programs may be considered. Registration begins at 7:45 AM. Instruction runs from 8:00 AM to 5:30 PM with lunch from 12:30 to 1:30 PM. This activity has been planned and implemented in accordance with the accreditation requirements and policies of the Accreditation Council for Continuing Medical Education (ACCME). Helms Medical Institute is accredited by the ACCME to provide continuing medical education for physicians. Helms Medical Institute designates this live activity for a maximum of 12 AMA PRA Category 1 Credits™. Physicians should claim only the credit commensurate with the extent of their participation in the activity.